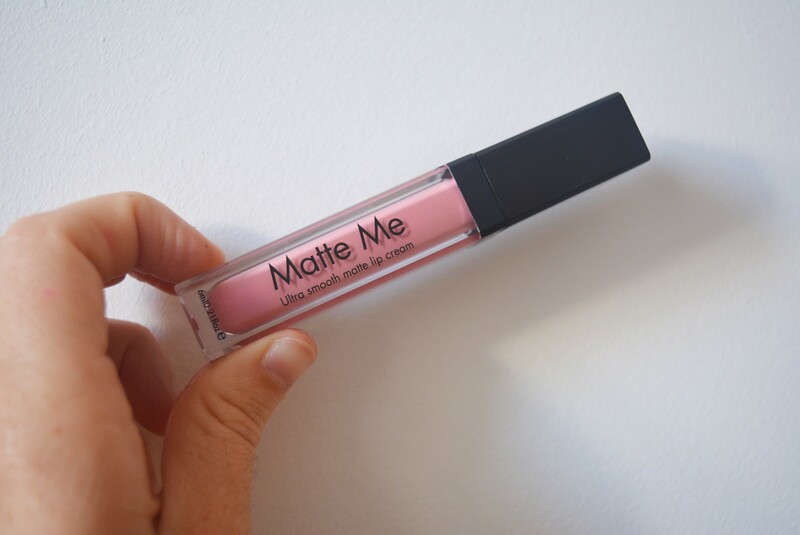 If you are a regular reader of my blog you will know I have already reviewed the ‘Sleek’ matte me lip cream in the shade ‘Birthday Suit’ (you can check that out here!). I loved birthday suit, i was wearing it every single day and thought it was time to test out some more of the sleek lip creams. Unfortunately, whenever I go to buy them they are either out of stock or in stores they don’t seem to have any of the more popular colors left. 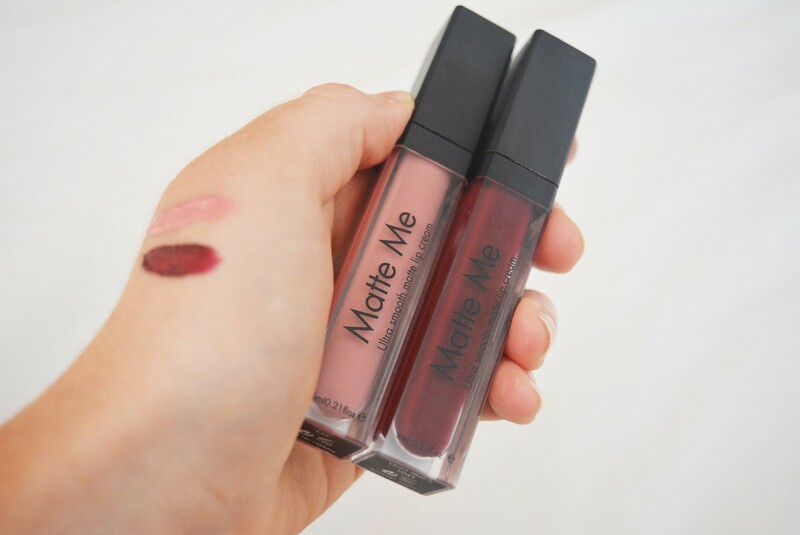 The two matte me’s I am about to review weren’t any colors I wanted but I couldn’t resist and found myself muttering about when I would wear these two colors, justified them and promptly skipped to the checkout. I am very pale, I wear factor 50 on my face all year round and I also have freckles. Pink lippies are not the best move for me but, that doesn’t stop me loving them. I wanted to try something a little out of my comfort zone this time around and although I should probably of gone for purple or orange, pink is just something I don’t regularly wear on my lips. ‘Petal’ isn’t extremely pink, it’s not a hot pink and it’s certainly not a dull looking pink, it’s actually really true to its word when swatched. Usually, pinks tend to change color once laid on my lips or swatched across my hand but petal, stayed true to itself. I decided to really put this sleek lip cream to the test and wear it the day I travelled back home. I applied it at around 8 am and didn’t arrive home until 11:30 pm that same night. The thing I really love about these lip creams is that they dry almost instantly but, they give you enough time to sort out any errors or crazy lines. They also don’t dry out my lips which is something I know a lot of people struggle with, including myself. I was worried for the sleek lip cream, we all know planes are not the best mode of transport if you’re looking to keep your makeup flawless. Okay so it didn’t stay put until that night. In fact i would say it was pretty much gone by the time I left the plane but, that’s not saying it was a bad lipstick. I ate, I drank, I travelled, I had my jumper on and off, I rubbed my face, I licked my lips and I didn’t re-apply once. It held its ground and even when it did start to fade after my lunch it didn’t look patchy and horrible, it looked so ‘sleek’ pardon the pun. If you’re reading this and your name is Lauren, you probably had a little shock then but, hopefully you know my name is Lauren and it wasn’t directed towards you so, you may calm down! Overall, Petal is one of those shades I thought I would really not like but I know already it’s going to be right next to ‘birthday suit’. It’s such a pretty color and goes with virtually any outfit. It didn’t dry out my lips (even on a plane) and it stayed for as long as it physically could. 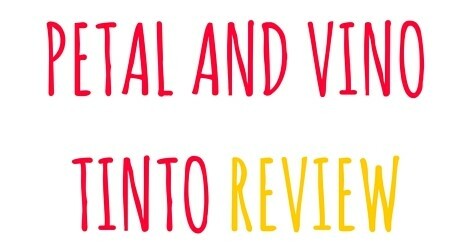 I will however, give you my overall score right at the end of this sleek review! I picked up vino tinto long before I dared try ‘petal’. I am a sucker for a red lip and i had read so many good reviews about this matte me lip cream. It looks as if it had slightly purple undertones which I was a little skeptical about but, I wasn’t prepared to judge it there and then. Vinto tinto is a deep, dark red which to the naked eye may look incredible but I just knew when my clumsy hands got a hold of the sleek brush, it would be everywhere. None of this stopped me, I took vino tinto and I paid for her. I marched her out of the store and straight up to my bedroom to try her out before heading out to see a show. I put her to the test. How Did The Vino Tinto Test Go? Applying it was a little difficult. I got the sleek lip cream all over my teeth (I am not sure how) I also got distracted and missed a chunk of my lip and had to try and fill it in. After all of that, it did all go to plan and it looked pretty fantastic. It was creamy and smooth and even when I returned home a few hours later it was still pretty much in place. My only bad thing to say about it was that i’m not sure if I just applied too much or not enough because it did tend to go a little patchy. It was in place it just looked as if I had been licking my lips quite a lot and taken off some of my lip cream. I will try it out again and see if it happens because I am sure it was the way I applied it. Overall Thoughts On Vino Tinto? I didn’t love it as much as petal. This surprised me so much because like I mentioned before, I am a die hard red lip kind of gal. It made my teeth look ultra white and the color was absolutely gorgeous, it just didn’t impress me as much. I do think this is down to the way i applied it so, if the situation does change I will be sure to leave a little note at the bottom of this post! Overall I am thrilled to score ‘Petal’ a giant 9/10 and ‘Vino Tinto’ a modest 7/10. 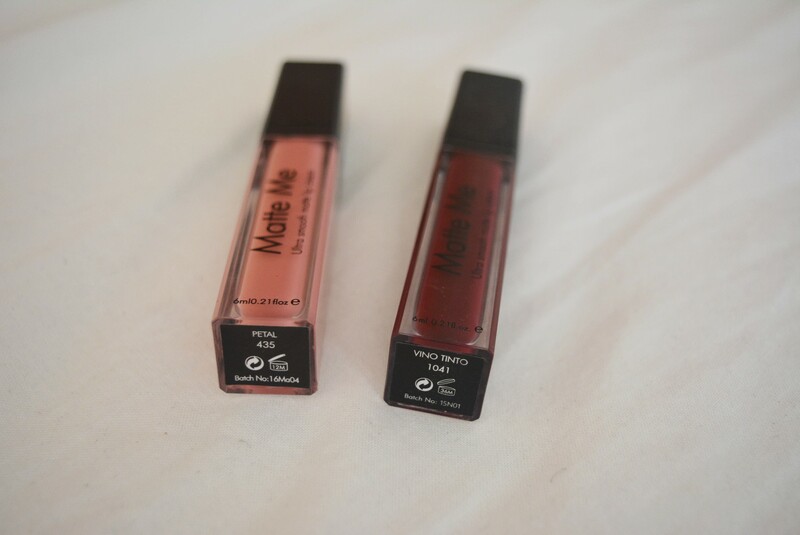 I will continue using both of these lip creams along with birthday suit of course! I hope you enjoyed this sleek review, if you did please let me know in the comments below and let me know your favorite lip cream colors! I just picked two of these, now that Sleek have re done the wands on them they are so much better! I have petal and shabby chic. site, I love the design and style it truly stands apart.